At age 21, I never in a million years thought that I would be subjected to the same kind of parental control treatment as a 10-year-old would when it came to watching a certain TV show–specifically, ABC’s How to Get Away with Murder. 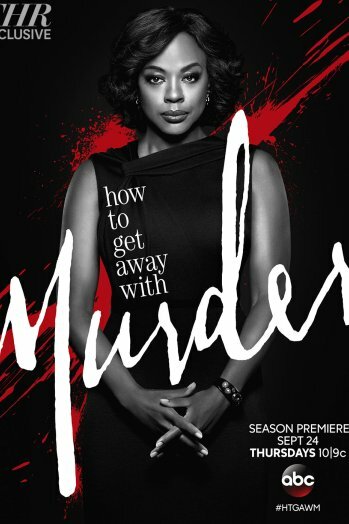 How to Get Away with Murder is a legal drama and mystery created by Peter Nowalk and executive produced by Shonda Rimes (Grey’s Anatomy, anyone?) about renowned attorney and law professor Annalise Keating (Emmy Award-winner Viola Davis) and five interning students who get tangled up in a murder plot involving a student of Annalise’s husband Sam, who also gets murdered by the interns upon discovering that he was having an affair with said student. In the first season, the first nine episodes alternate between the present day timeline, with the interns covering up Sam’s death, and flashbacks of events leading up to the murder. This season, it’s the same thing with Annalise’s impending demise. To me, How to Get Away with Murder is one of those shows that I would look forward to every week because of the suspense it builds. My mother and brother, however, do not like the fact that I am watching that show, especially my mother. Why? Because they believe it has too much sexual content. I have watched the entire first season of How to Get Away with Murder and the first three episodes of its current season, and while there are some sexual sequences, that is not what the show in its entirety is about. Otherwise, the FCC would’ve forced ABC to take it off the air by now. It’s one thing to punish a little kid for watching something that’s supposed to be for adult eyes only, which is why the TV content ratings system is in place courtesy of the U.S. Congress, the television industry and the FCC, so why should I have to be subjected to the same treatment for watching a TV show I’m already of age to watch according to the ratings system (How to Get Away with Murder is rated TV-14)? Just because How to Get Away with Murder exhibits some content that’s not suitable for some people doesn’t make me a bad person. Whatever, I’m sure that my family will eventually come to accept my interest in this show just as they did with my interests in everything else I’ve come across over the course of my lifetime. Now, if you’ll excuse me, I’m gonna go watch last night’s episode of How to Get Away with Murder–if my mom doesn’t chastise me for it, that is.